No, it is not the recipe from Top Chef. 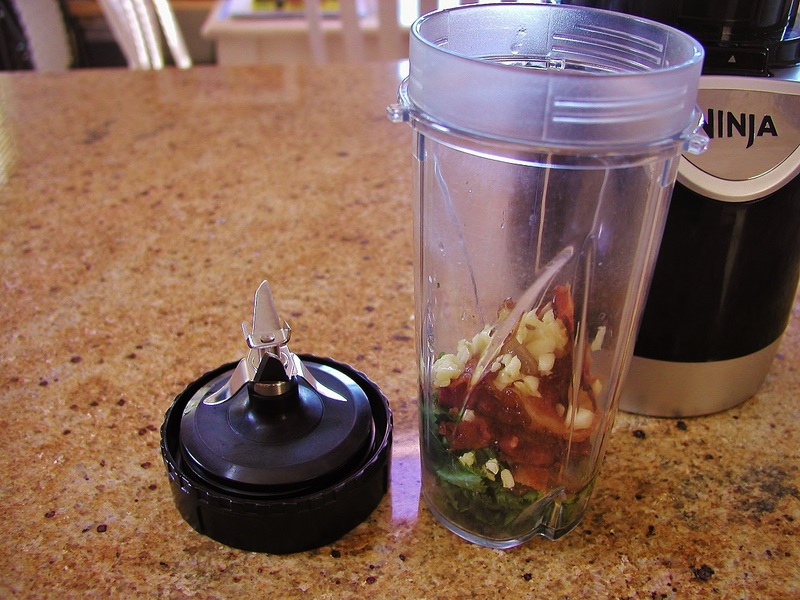 There is not any ham or spinach infusions. But it is good, and involves bacon! 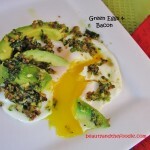 This is something fun to add to your breakfast eggs! 4 slices Bacon fried or baked. 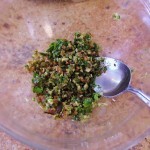 1/2 cup fresh cilantro ( hate cilantro then use Italian parsley). 3 cloves Garlic peeled and minced. 2 tsp olive oil * optional. 1/2 avocado peeled and sliced. Fry bacon slices on stove top or in 400 F oven for 20 minutes, and set aside on paper towel, but save some bacon grease in pan if using later. 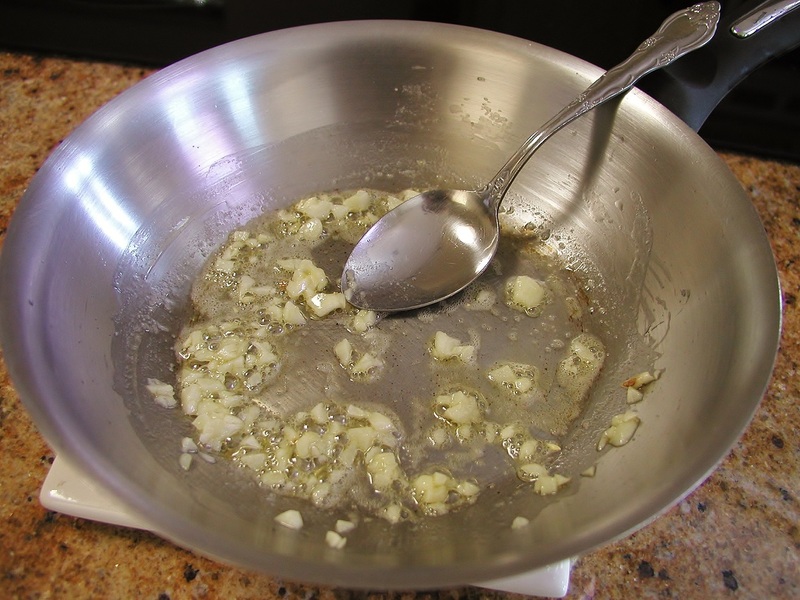 In fry pan, on stove top, saute the minced garlic in half of the butter or bacon grease. 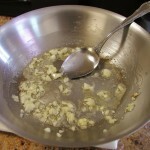 Take pan away from heat once the garlic is translucent, set aside. 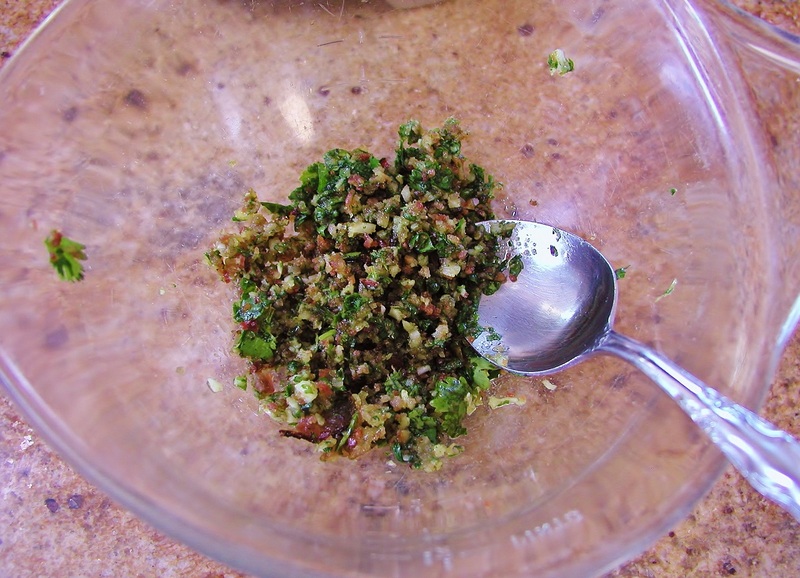 Add bacon, cilantro or parsley, melted butter or bacon grease, Sea salt, and garlic with the butter or grease it's cooked in to a blender or food processor. 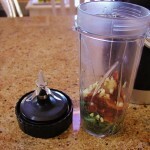 Process or blend until a paste forms, then add optional olive oil and process a little more. 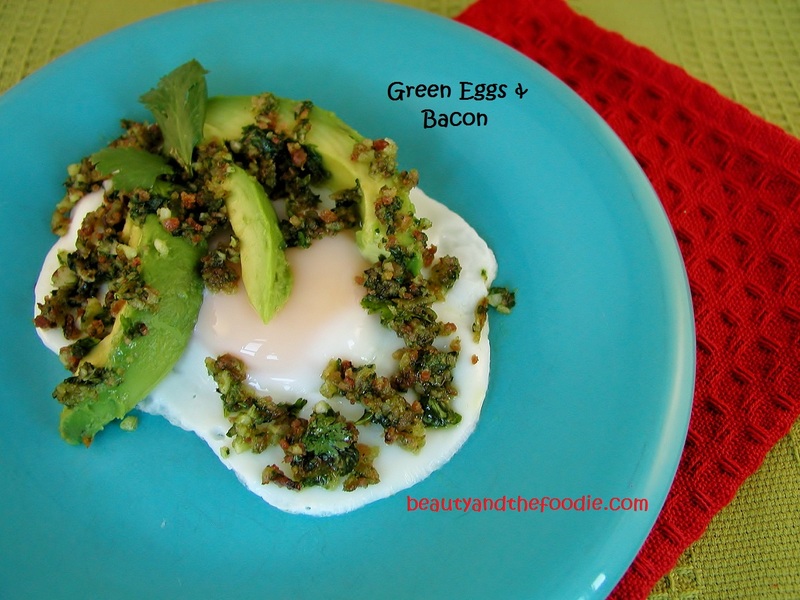 Fry or bake your eggs the way you like them. 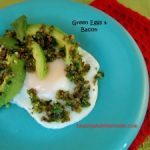 While eggs are still in the pan, top them with the cilantro bacon butter and cover with pan lid and warm a little, or stick back in oven for a few seconds. 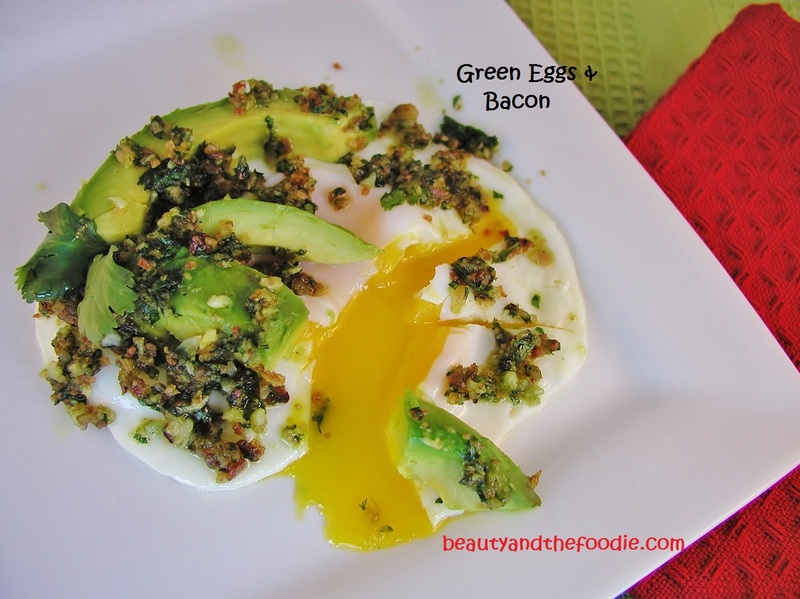 Remove from pan, and top with avocado slices.